Catching the flu is a real pain. First there is the physical pain that comes with the fever, headache, body chills, and nausea — which is even worse when you are watching your child go through it. Then there is the financial pain that comes with paying for expensive treatment, doctor’s appointments, and prescriptions. Depending on the type of health insurance you have, paying out-of-pocket expenses for treating the flu can quickly add up. My son recently had the flu and his doctor prescribed him Tamiflu to treat it. The cost — $250. That cost was doubled when the doctor also prescribed a preventive prescription for my other son. It was an $800 day after appointments and medicine. I was prepared with contributions to my health savings account as I haven’t yet met my insurance plan’s deductible for a co-pay. However, my heart broke thinking about the families that aren’t covered with health insurance to cover the expense. Stop the flu before it happens by taking each member of your family to get a preventative flu shot. The flu vaccine causes antibodies to develop in the body which provides protection against the infection. So when you get a flu shot, you substantially decrease the likelihood that you will catch the flu. 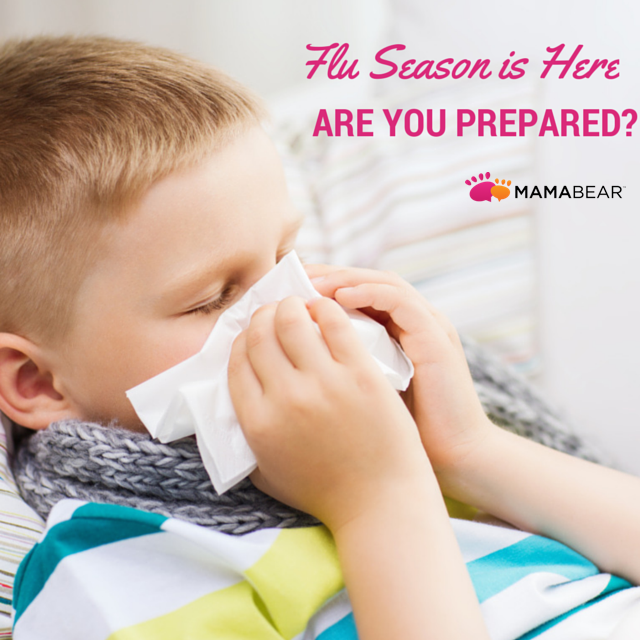 The Center for Disease Control and Prevention recommends that any person over the age of six months get a flu vaccine every season. The associated risks with flu shots are small, and despite what many think, you cannot get a case of the flu from a flu shot. Many pharmacies and doctor’s offices offer inexpensive, easy-to-administer flu shots that are readily available. It’s a quick and effective way to protect your family from the physical pains of flu season. Plan for health care costs before they happen by enrolling your family a financially responsible health insurance plan that will not drain your wallet in the event that one of your family members gets sick. Compare plans that make sense for your family. With a co-pay plan, you only pay for a portion of the cost of treatment but a higher monthly fee. So a prescription that costs $250 could cost you $100, $30, or with some plans, even no cost at all. With a plan that requires you meet a deductible, you pay the full cost of treatment (until you reach your out-of-pocket limit). A plan with with a high deductible may be cheaper per month than a plan with a low co-pay, but remember to factor in the extra expenses you may incur during the year given your family’s health needs. Be aware of co-pay and deductible rates when shopping for a new health care plan for 2015, and educate yourself on the available plans by using marketplaces and exchanges to compare rates. Healthcare.gov is not the only available health insurance marketplace. We’ve partnered with ACA Insurance Services, to offer a variety of affordable family plans that can increase the health of your family and your wallet. Open enrollment for 2015 plans has begun. Educate yourself and save money.